The government is reportedly mulling reforms in labour laws to make sure employers do not keep basic income low in order to reduce employees' contributions towards social security schemes. If reimbursements and allowances form a major component of your take-home salary, then be ready for some changes in your salary structure. The government is reportedly mulling reforms in labour laws to make sure employers do not keep basic income low in order to reduce employees' contributions towards social security schemes. According to a report in Business Standard, the government has proposed that salaries should be structured in such a way that allowances for house rent, leave travel, etc. are capped at 50 per cent of the basic pay. 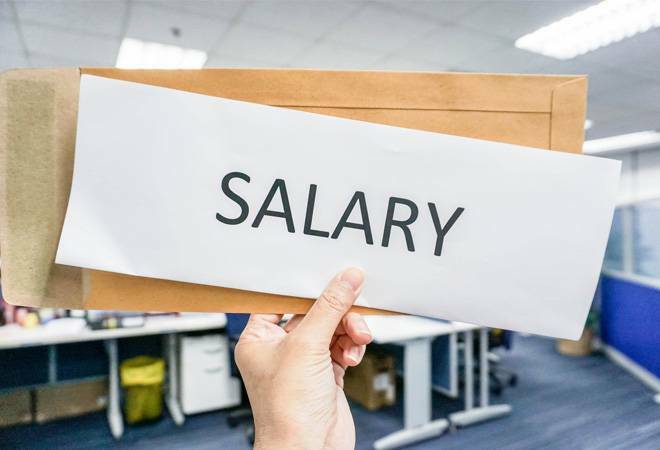 Whatever employers offer as salary beyond this will be treated as basic pay, on which the contribution towards provident fund, insurance and gratuity will be decided, the report said. The labour ministry's proposal to make basic income a major component of employee salaries has been hailed by some trade union leaders whereas India Inc. is fearing that an increase in basic salary may push up the wage bill for companies, the report added. The rise in basic income may also lead to a lower take-home salary for lakhs of employees in the private sector. A higher basic income would mean a higher contributions towards provident fund, insurance and gratuity besides shelling out more for income tax. According to the report, the labour and employment ministry has prepared a note on bringing uniformity in the definition of wages across 19 laws. The ministry has proposed two sets of definitions for wages: One for all laws that have financial implications for employers, including employees' provident fund, employees' state insurance and gratuity; and the second for other labour laws that are part of the proposed Code on Wages Bill 2017. "Cases have been noticed where employers show basic wages plus dearness allowance as very low, say 10 to 30 per cent, and the remaining wage is shown as various allowances for performance, entertainment and conveyance," the ministry observed. Most employers pay 12 per cent of an employee's basic income as share of their provident fund (PF) contribution. An increase in basic pay would lead to provident fund , insurance and gratuity contributions, adding to the wage bill of companies. "This is an encouraging move. It will lead to social security because firms now suppress basic income to save cost," Virjesh Upadhyay, general secretary of the Bharatiya Mazdoor Sangh (BMS) told the daily. Upadhyay was a member of a committee set up by the government to rationalise the definition of wages. To change the current labour laws, the government will need to amend the Payment of Gratuity Act, 1952, the Employees' Provident Funds and Miscellaneous Provisions Act, 1952, and the Employees' State Insurance Act, 1948.